Below is a small poster I made to publicize the event. It should open up in MS Paint and print out on 8.5x11 inch paper. If anyone is willing to post it at local gun stores or other areas, it would be greatly appreciated. Please get permission to post at stores before doing so. Below is a map of the KRRC. The silencer shoot will take place on the rifle line. 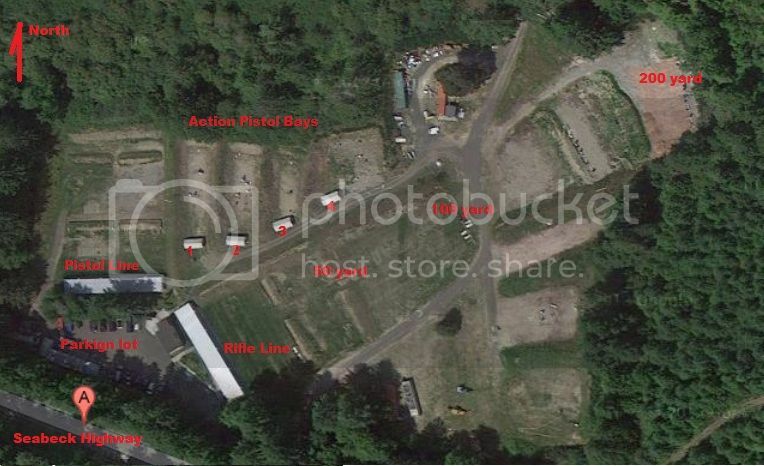 The pistol line will be open for unsuppressed pistols and rim fire rifles as usual. The action pistol bays between the pistol line and the rifle line can be used by dealers or manufacturers who want to demo their products. They can also use the rifle line. Please feel free to bring a banner to hang up to advertise your store. Last year Wynakos Machine attended the shoot and were a wealth of information for the participants. Please feel free to contact me at ranb40@yahoo.com or (360) 440-5889. Last edited by Ranb; 03-20-2014 at 08:45 PM. I’m expecting three manufacturers to show up for the event; Wynakos Machine from Monroe WA, Thunder Beast Arms from Cheyanne WY and Silencerco from West Valley City, UT (their NW rep) . I’ve never seen or heard a Thunder Beast silencer, so I’m really looking forward to it. Wynakos Machine has several interesting products that I would like to see again. 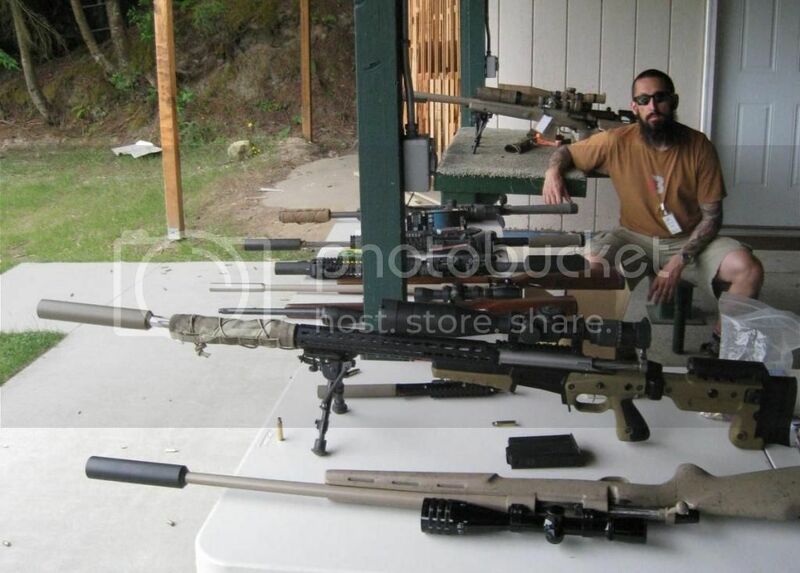 I really liked what Silencerco had to offer at the 2011 Renton shoot. Maybe they will all have something brand new for this year. All of the manufacturers as well as myself will have a limited supply of ammo for the public to use. Please bring your own 9mm, 45acp. 22lr, 223, 308, 300 BLK or other commercially loaded ammo to ensure you’re able to try out their products. Last edited by Ranb; 06-25-2014 at 07:27 AM. A bump to remind everyone about the Silencer Shoot. I'm putting it together to encourage manufacturers to attend and demonstrate their wares. With a good showing by the public we can encourage that the manufacturers keep coming to these events and show us what is new on the market. Hope to see you all there. The 4th Annual KRRC Silencer Shoot was a great time. Hats off to Ray of Thunderbeast Arms and Scott of Silencerco. While I can put together a successful event with the help of other club members, it’s the manufacturers and dealers who take part that make it much more memorable. Once again thank you to Ray and Scott. We had 6 remote re-setting AR-500 falling plates at 200 and 110 yards. A large mild steel plate at 200 yards and numerous other steel at 25 and 50 yards. At 2 pm people started showing up, within 30 minutes most of the rifle line was full and stayed packed until about 5:30 when people got their fill. Thunderbeast and Silencerco had a limited supply of ammo but since most people bought ammo of their own there was plenty to go around. 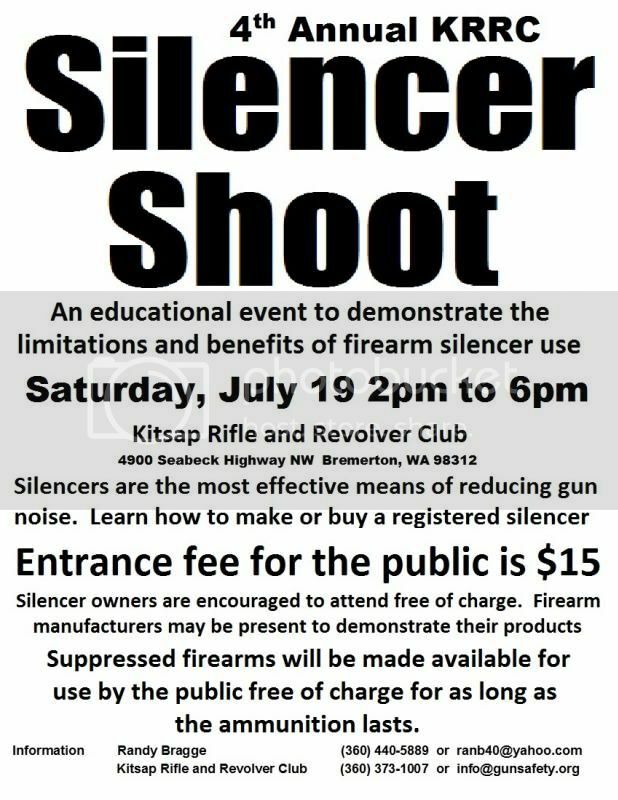 A few people told us that they’ve only shown up at KRRC for the Silencer Shoots. One family sat at a bench and went through a bunch of old AP ammo in my 308 punching some holes in the 200 yards steel, another brought a box of 223 and tried out the 5.56 rifles I brought. Another dad brought his kids and they knocked over plates at 25 yards with a suppressed Savage MK2. There was of course small crowds of people around Scott and Ray for most of the afternoon trying out their suppressed rifles and pistols. With ten suppressed firearms each they were kept very busy. 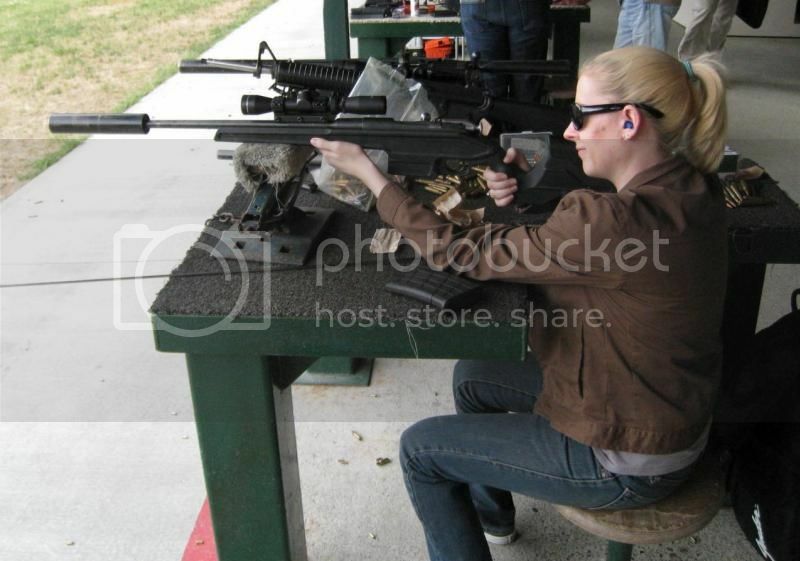 I especially liked the Thunderbeast can on the Barrett 338 Lapua; it was a bit quieter than my 338 Ultra mag. I heard a few SBR’s, they were of course louder than their full sized counterparts. My favorite rifle at the event was the 44 mag Silent Destroyer, less noisy than a 300 Blackout; it better be as it has a huge can on it. Got to make me one some day. 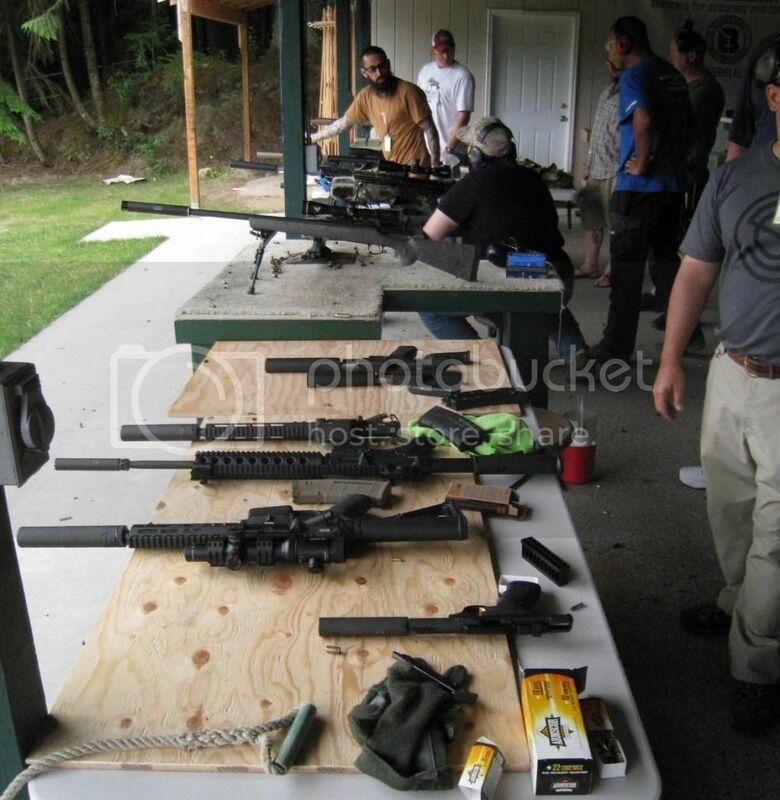 The pistol line was open to unsuppressed shooting, I think most of the people who showed for pistol shooting also took part in the Silencer Shoot. Most people were gone by about 5:30. About 70 people were at the event. The 2015 Silencer Shoot is tentatively scheduled for Saturday July 18th. Thunderbeast and Silencerco both said they wish to return. I look forward to seeing them and others next year. I’m talking to you Wynakos Machine. Ray and the collection he brought. Scott’s collection, didn’t get much of Scott though, sorry. 44 mag Silencer Destroyer. Got to make me one of these someday. First suppressed Mosin Nagant I’ve seen.